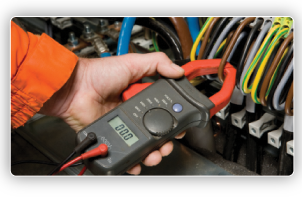 ABCO Electrical is a leading Industrial Electrical Contractors & Life Safety Systems Company based in Dublin, In this website you will find detailed information about all of the Products & Services that ABCO Electrical can offer you. ABCO Electrical is a leading Industrial Electrical Contractors & Electrical Wiring Company based in Dublin, we offer Electrical Testing and Commissioning services as well as life safety systems such as Maintenance of Fire Alarm System, NSAI Emergency Lighting services and Fire Alarm Installation etc. Since ABCO was established we have sustained all our contracts to date due to our flexibility in identifying our customer requirements and tailoring services to meet their specific needs. We can offer re-active and planned protective maintenance at very competitive prices. ABCO can offer a Full Design to Commissioning after a site visit and survey. We have enclosed a comprehensive list of our skill sets along with all our relevant certificates RECI, NSAI, FESA, MONICON, Tax Clearance and Insurance for you perusal.